The Extreme Sailing Seriestm is the original ‘Stadium Racing’ circuit delivering high-performance action close to shore, right in front of the public and VIP guests. The Extreme Club hospitality venue is the ideal location to entertain your guests or be entertained yourself, combining the excitement and drama of Extreme racing with first class facilities and the chance to meet the athletes competing. The chance to sail aboard one of the boats in the much sought after Guest Sailor spot, delivers a heart-pumping and truly memorable experience. Getting onboard a GC32 in full racing mode is nothing short of breathtaking. There is no other sport where you can get up close to the action like this. In whatever capacity, a visit to an Extreme Sailing Seriestm Act is an utterly unforgettable experience. So whether you just want to sit in the Extreme Club and soak in the atmosphere of the racing or ride onboard during the Stadium Racing there is a package available for you. Please note this is a Non-Smoking Event. This event is located in a Port of San Diego Park and therefore smoking is prohibited. Check out the Packages available! Reserve a private table in the Extreme Club for you and your guests to gather and enjoy the action-packed Stadium Racing in a VIP atmosphere. Private table packages includes a privately reserved space for your party throughout the afternoon and access to a full day of entertainment and hospitality in the Extreme Club for ticket holders on selected day. Customise your table with branding, available on request. 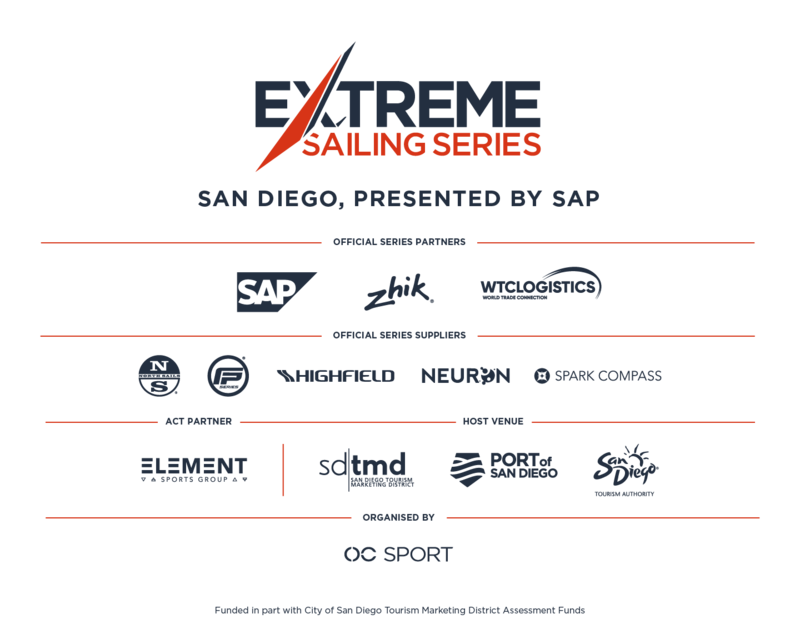 For limited time only we are offering preferential rate rooms to VIP guests of the Extreme Sailing Series at our favourite local San Diego hotels. Please book your VIP experience here to redeem these special offers! *Availability is on a first come first serve basis. An early sellout is predicted. **For Gold +1, the “+1” is a Silver pass. **For Platinum +1, the “+1” is a Silver pass.